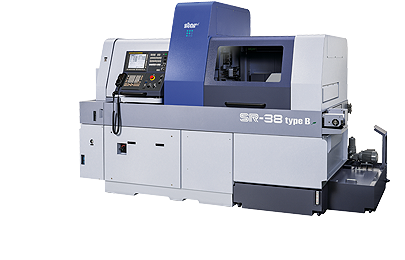 In comparison to its proven smaller brother the SR-20R IV, the new SR-38 type A/B automatic CNC sliding headstock lathe has an extended material capability of 38 mm. 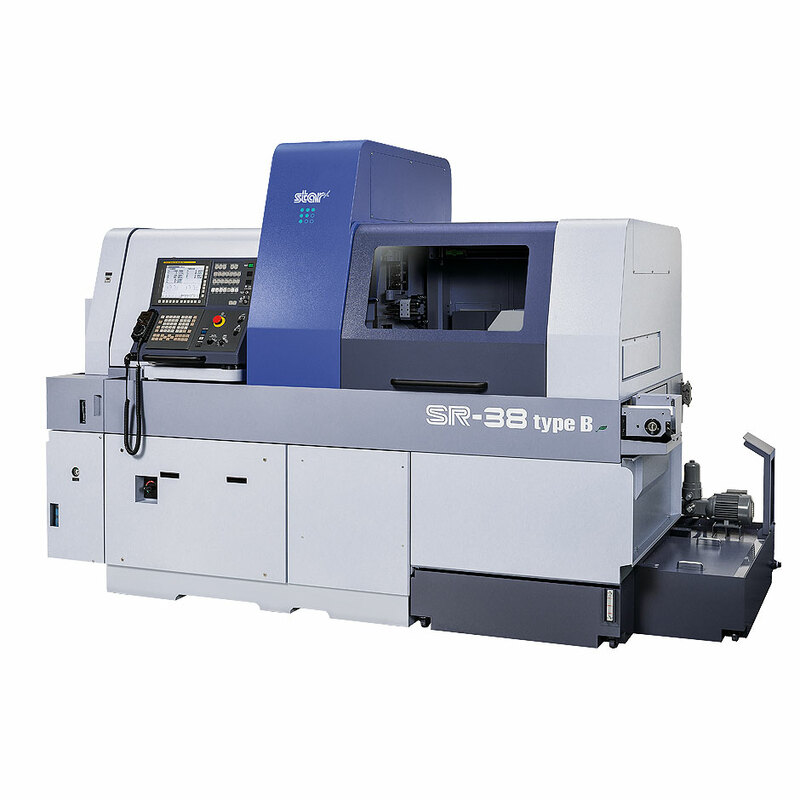 Furthermore, balance cut machining can be carried out on the tool post (X3 axis). 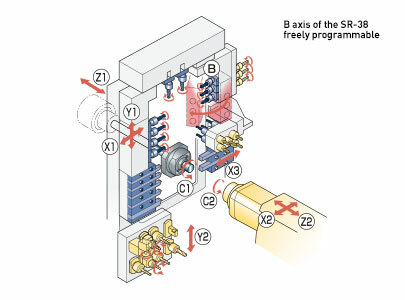 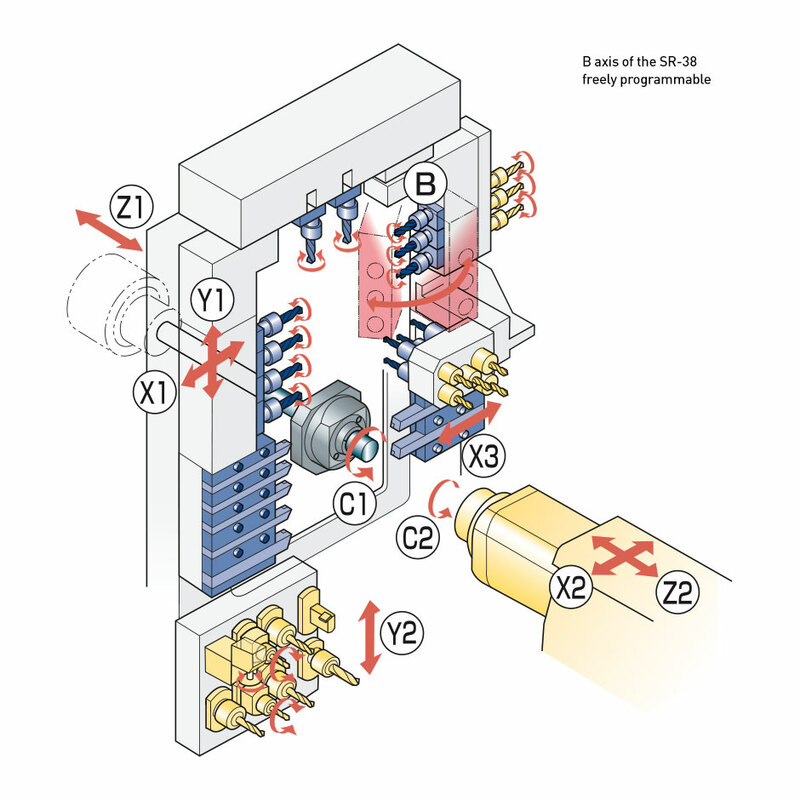 The swivel B axis offers additional machining possibilities.